Oppositional Defiant Disorder (ODD) is among the most prevalent disorders in preschoolers. It has been linked to temperament, since characteristics such as elevated surgency and negative affect, as well as low levels of effortful control, contribute to the development of this disorder. Evidence also indicates that parental psychopathology can accentuate temperamental traits. Our aim was to assess whether the levels of psychopathology of mothers and fathers acts as a moderator of the relationship between temperament and ODD symptoms in preschoolers, both cross-sectionally at ages 3, 4 and 5, and longitudinally between ages 3 and 5. The sample included 550 children evaluated at ages 3, 4 and 5 through questionnaires and a semi-structured diagnostic interview with parents. Parents also answered a questionnaire about their own psychopathology. The results indicated that negative affect and effortful control are associated with higher levels of ODD symptoms in preschoolers. 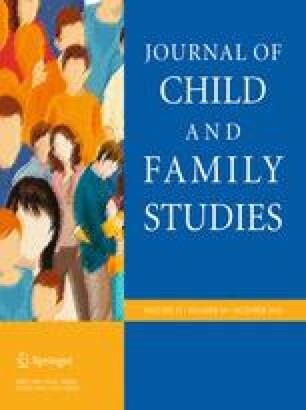 At child age 5, higher levels of paternal depression and anxiety increased the effect of low effortful control on ODD. High levels of negative affect and low levels of effortful control at age 3 were statistical predictors of ODD levels at age 5, and this relationship was also moderated by paternal anxiety and depression. The results have important clinical implications for the proper orientation of interventions, suggesting that interventions should integrate the paternal caregiver in the treatment. We would like to thank the participating families and schools. Funding for this study was provided by the Spanish Ministry of Economy and Competitiveness [PSI2012-32695] and [PSI2015-63965-R], Secretaria d’Universitats i Recerca, Departament d’Economia i Coneixement de la Generalitat de Catalunya [2014 SGR 312], and CONICYT, Ministry of Education, Government of Chile. These funding sources had no role in the study design, collection, analysis or interpretation of the data, nor in writing the manuscript or deciding to submit the paper for publication. The terms of this arrangement have been reviewed and approved by the Autonomous University of Barcelona in accordance with its policy on research. Ezpeleta, L., de la Osa, N., Granero, R., & Trepat, E. (2014b). Functional impairment associated with symptoms of oppositional defiant disorder in preschool and early school boys and girls from the general population. Anales de Psicología/Annals of Psychology, 30(2), 395–402. doi: 10.6018/analesps.30.2.148141.